The gorgeous Deux Belettes in Byron Bay, Australia, was the perfect backdrop to this understated but impeccable ‘French Bohemian’ wedding inspiration shoot. Affectionately known as “The French House” Deux Belettes is better described as a chateau. Hidden on a quiet country lane surrounded by tropical fruit plantations and rainforest, it is a sprawling property rich in charm and rustic luxury. A muted colour palette of neutrals with pops of vibrant pink and red for contrast were chosen for the lush floral arrangements by Primula Floral Styling, whilst silver candelabras and place settings from The Events Co added a touch of opulence to this rustic tablescape. 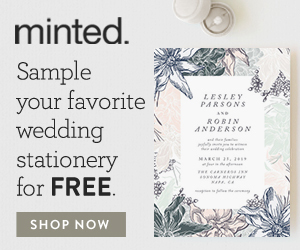 A calligraphy stationery suite from Cass Deller Design and the most delicious-looking one tier wedding cake from The Cake That Ate Paris enriches the shoot with a hint of modern elegance. The perfect vintage boho bridal look was created with a wedding dress by the fabulous Odylyne The Ceremony kindly supplied by The Babushka Ballerina, topped with hair accessories by Samantha Wills from Emte Boutique, and finished with the prettiest hair and makeup by Foxs Lane Styling and Jess Brailalik. Every lovely image by Chloe of White Images will be sure to take your breath away, so have your pinning finger at the ready…..
See what I mean?….. just SO lovely! A big thankyou to the whole fabulous team behind this beautiful shoot. And I am especially grateful to Chloe of White Images for both capturing everything so perfectly and for allowing me to share it with you here. You can see more of her wonderful photography on her website whiteimages.com.au and if you love her work as much as I do, be sure to follow her on Facebook, Instagram and Pinterest. Oh and keep an eye out on Chic Vintage Brides for more will be published on these very pages soon! Before you go, if you loved this and are looking for more romantic boho-vintage wedding inspiration do take a look at this Spring woodland wedding inspiration, or how about this elegant boho wedding styled shoot and these dresses are sure to have you swooning! If it is that chic French style you are after, then you won’t want to miss this dreamy garden wedding shoot brimming with Provence charm and you might want to take a peek at this stunner of an inspiration board!